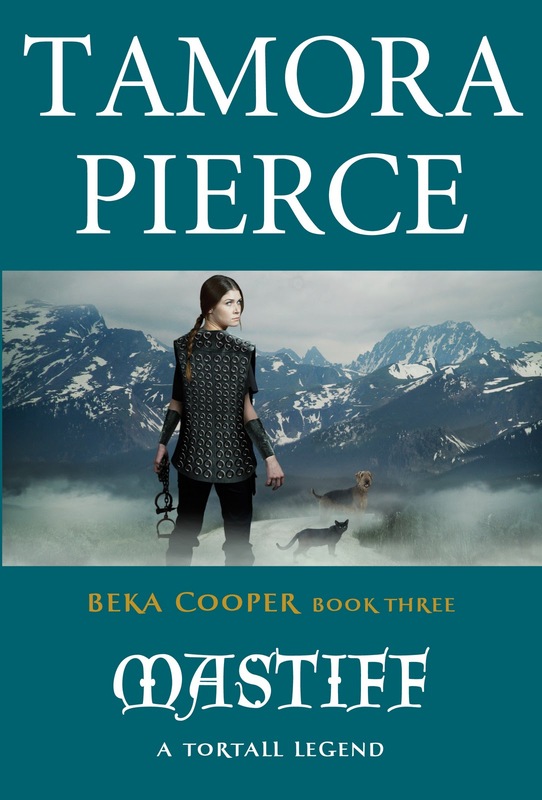 The Legend of Beka Cooper gives Tamora Pierce's fans exactly what they want—a smart and savvy heroine making a name for herself on the mean streets of Tortall's Lower City—while offering plenty of appeal for new readers as well. Beka and her friends will face their greatest and most important challenge ever when the young heir to the kingdom vanishes. They will be sent out of Corus on a trail that appears and disappears, following a twisting road throughout Tortall. It will be her greatest Hunt—if she can survive the very powerful people who do not want her to succeed in her goal. Another amazing book by Tamora Pierce has arrived! 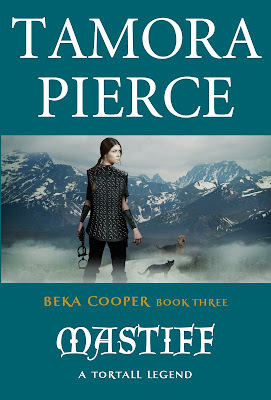 Mastiff is the last book in the Beka Cooper Trilogy (Book 1 is Terrier and Book 2 is Bloodhound). Beka is a Provost Dog, the police force of Tortall. She has been sent on a chase along with her partner, Tunstall, the Provost's Mage Farmer, and the Lady Knight Sabine in order to find the crown prince of Tortall. Through the book, the readers, along with Beka, learn about earning honor and how easy it is for people to break their honor. As with all of Pierce's books, the realism of the world is fantastic. Set in fictional Tortall, which resembles the Mediterranean (mainly Spain) the towns, people, and attitudes could be plopped down in our world during the medieavel times and nothing would stand out as strange (with the exception of magic of course). This is what I love about Pierce's books; while they are fantasy, they could easily be put in historical fiction, in my opinion, because the world-building is that realistic. The book is full of adventure, but it isn't the pretty, polished life of nobility. This adventure is gritty, dirty, and, sometimes, disgusting. The reader sees the slaves' and servants' lives: how hard life is if you're not a noble. Beka is right in the middle of this precarious world of dealing with the suspicious commoners and the snotty nobility; both of whom present their challenges to figuring out who kidnapped the prince. The ending of Mastiff was a complete surprise to me! 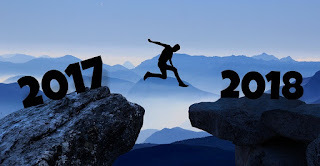 Of course, if you're cynical you might figure out what's going on earlier, but I tend to see things glass half-full. I feel like it is the best ending, as it adds such a sense of heartbreak to the novel, juxtaposing the beginning very nicely. Then the epilogue adds even more to another series by Pierce, Song of the Lioness (You might want to read that series first, as they were the first written), which will always have a special place in my heart. Another great story with a beloved heroine, Tamora Pierce once again knocks it out of the park! Strong characters, a detailed world, and an intriguing plot make Mastiff a must-read!